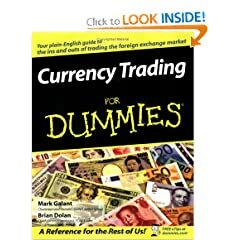 If you have any of the For Dummies series you know what you are getting and Currency Trading For dummies does not disappoint either. Written by Mark Galant and Brian Dolan they explain everything that you will want to know about currency trading and the Forex Market. This is a step-by-step guide that breaks down the Forex market and what you need to know. Many books overlook the simple things, but this book does not. If you have never traded in Forex before this is a book that you should most definitely start with. Currency Trading For Dummies is a fun and easy way to get your Forex Trading career in high gear even if you have very little knowledge of the subject. This book will help you identify where the trading opportunities are and help you understand what drives to market so you can profit quickly. It will also help you choose a trading broker along with learning how to execute a successful trade as well. Learning how to minimize risk and get the most profit as possible is something this book will help you accomplish as well. Analyzing charts and how they affect the market is something that you will also learn with this book. Looking over charts is something that many people do and this book goes into it well and explains what to look for and what to avoid. Many books do not go over this and that is a shame so I was glad to see this book tackle it head on. Currency for Dummies for the most part is a book that has many things going for it, but it does have some drawbacks just minor ones though. The book really does not go into adapting a trading plan and executing one. It gives you ideas on how to go about it, but not actually doing one. It keeps things really simple and that is what the concept of the Dummies series is, but it really could have went into more detail strategies and concepts which would have made the book so much better and the average reader could get much more out of it. Overall though the Currency Trading for Dummies is one of the best Forex Trading books on the market especially for someone who is just starting out. Many times when someone gets into trading Forex they get overwhelmed by everything, but this book is a perfect companion for people who struggle. It helps you understand the market in easy to understand terms so you can make informed decisions. The best part about this book is no matter your expertise you have in Forex Trading you can gleam something from this book. Currency Trading For Dummies is a must buy especially if you know nothing about Forex Trading. You will come back time after time so keep it handy as you will use it often. Currency Trading For Dummies is must have for everyone.